Charter airline JumpOn is offering a great airfare deal on their upcoming Calgary to Kelowna flight at just $149 roundtrip including taxes. The flight departs Thursday Dec 5 at 7:30 PM, and returns on Sunday Dec 8 at 4:30 PM. For comparison, the cheapest flights on WestJet on those dates currently sit at $328, while Air Canada is at $427. JumpOn is undercutting the competition by over 50% ! Another thing that makes this flight appealing is that Big White's 'Ski-In Ski-Out' Resort is offering a 'ski free' offer over the same weekend. 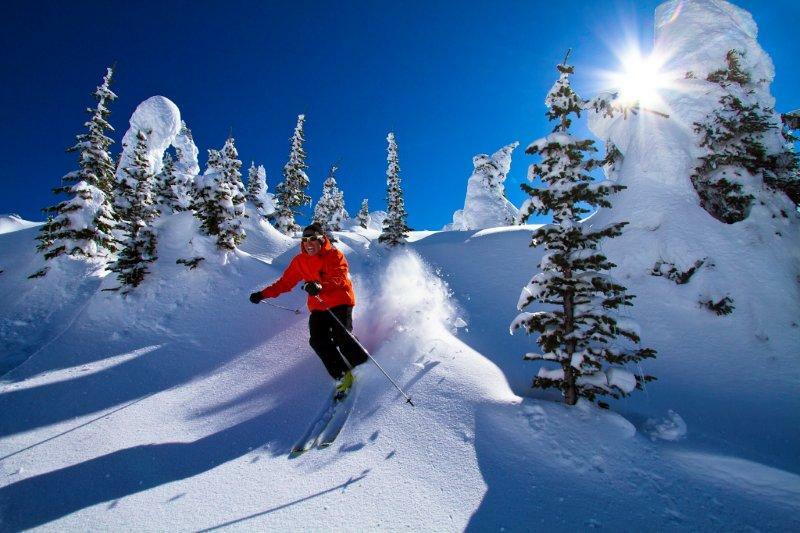 You get 2 free lift tickets when you book 2 nights of accommodations. Details for this offer can be found at http://www.bigwhite.com/plan-your-trip/special-offers/ski-free-dec-2013/. However, keep in mind it is early in the ski season.. If you are unfamiliar with the GoJumpOn concept, what they are doing is extremely unique in the world of airfares, and I haven't seen it tried anywhere else in the world. They're offering flights with a Groupon-esque approach, where the flight only happens if enough people are interested and commit to booking. (Of course, you are not charged if the flight does not happen). In the case of this flight, enough people have already booked to make it a go, so there is no risk of the flight not happening. At the time of this writing, 46 seats remain. I suspect with this Black Friday price drop to fill up the remaining seats, it will sell out. I took advantage of one of JumpOn's cheap flights to Vancouver back in October, and had a good experience. There are no frills, no seat back entertainment, and nobody serving drinks or snacks. They just get you there and back at a lower cost than the competition, and their flight schedule is usually about as good as it gets (weekends, ideal times after work, etc). They are also based out of Calgary, and supporting what they are doing can only help with driving down the expensive airfares we have here in Western Canada. calgary, yyc, flight deals, kelowna, british columbia, ylw, canada, gojumpon and bc. One Response to "Calgary to Kelowna - $149 roundtrip including taxes | black friday deal"